KMK: Ola fam, you good? KMK: You’ve been around for quite some time. Well we’ve seen cats come and disappear, what keeps Qhawe going? Qhawe: Yeah man the reason why I still hold it down is because it keep it real to me,I don't follow trends. KMK: Describe your style of music. We know you hip hop, but cats always say “nah me I’m Crunk, me I’m Spaza, me I’m Cheezy” etc. Wena? Qhawe: I'm doing that real hip hop style I fuse english with xhosa in my raps over boombap beats,I always keep it me but trying to be relevant. KMK: Where did it all start for you and who/what inspired you? Qhawe: It all started in Molteno where I'm from and I am the member of the crew called N.E.T.O we started performing in 2003. 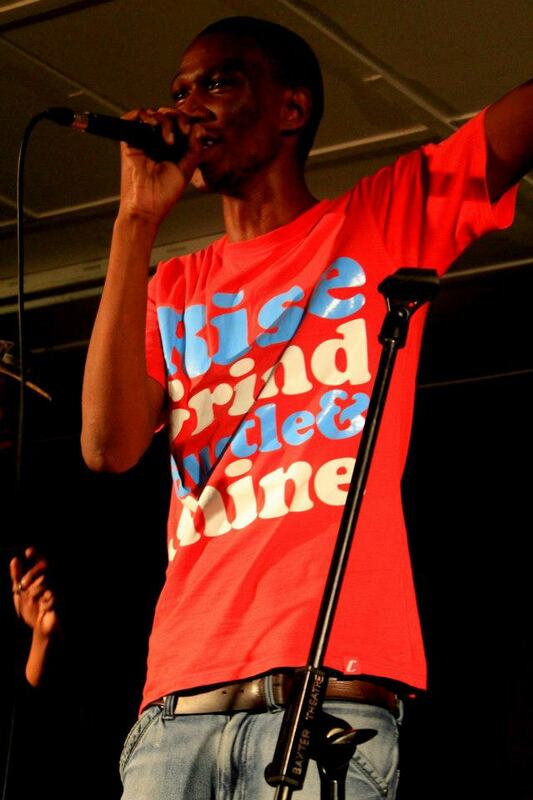 My big brother Siyabonga Tsiovesky Melane is the only person who inspired me in hip hop he guided me in every step. I get inspired by everything man, from my birth place (Molteno) to my family to my neighbours to my friends etc, it depends on the song I'm writing if its a love song I get inspired by a lady. 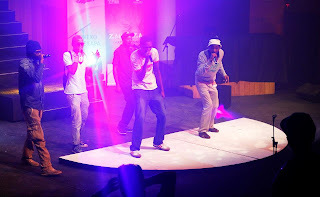 KMK: And One Movement, how did ya’ll meet? Qhawe: One1 movement yeah, I first met Ruffkat and we formed a crew called "izinga"in 2009 and we released a mixtape then Ill Dre joined us and we were joined by Stherra and Nasty X so we decided to call it One1 Movement. KMK: How did being together help each and every one of you? Qhawe: I learn from each member of One1 Movement they are my brothers we are more than friends. KMK: Your new track “I am your fan” is safe on my playlist. 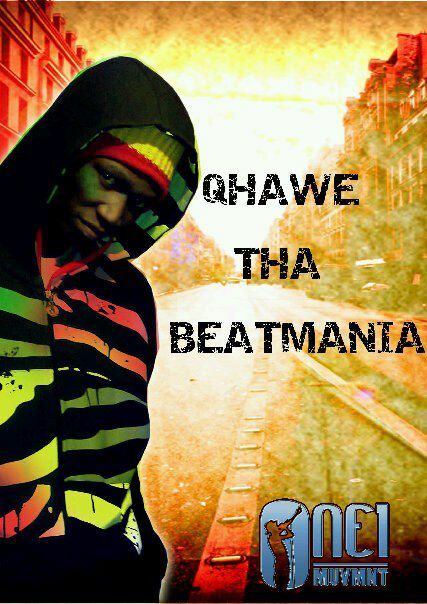 Should we expect something new from Qhawe soon? An album maybe? Qhawe: Yeah I'm releasing a free mixtape "The Bigger Picture" but nothing confirmed! and One1 Movement will be releasing soon. KMK: You are well known for your hard hitting raps and soon you are battling Invisible Virus who is also a very tight MC. Are you ready? KMK: Well, your partner in crime Ruffkat said some things in Baxter when he was battling Invisible Virus. Straight from the horse’s mouth, tell us what happened when you battled IV in town. Qhawe: I murdered him on a freestyle battle but its hard to admit a lose so I will kill him in front of everyone 11 may @ Baxter. KMK: Du noon’s flag is flying very high when it comes to battles, is battling something you take very seriously? Qhawe: Yeah in Dunoon we take battles serious,we use to freestyle battle each other for fun non personal,just to sharpen the skill. KMK: You also a beat maker, how do you balance it with the fact that you also a rapper? Are you not one of the dudes that keep all the tight beats for themselves lol? Qhawe: hahaha nha man I know how to balance the two,I make beats and let people choose what they like and let them buy them. I also choose a beat I like,but to me customer comes first!to me beats and raps comes 50/50. KMK: The hip hop movement in Cape Town, do you see any progress or you think we are hustling backwards? Qhawe: Yeah I can see the progress in Cape Town hip hop,I mean in 2003 we were not performing at theatres and stuff and the sound had improved but most Cats rap with no knowledge, need to grow. KMK: Which S.A artist are you currently bumping? Qhawe: I'm bumping Ruffkat's album "My Journey" too nice. KMK: Any message for Invisible Virus since you will be taking him on this coming Saturday? Qhawe: Oh my massage to Invisible Virus is simply clean, I will kill him I will make him feel small and his close people will hate me after that day. KMK: How can people get hold of you? Download Qhawe's new joint: "I Am Your Fan"